You can visit our websites and digital platforms without providing personal information about yourself. When you visit our websites or fill one of our forms, we may ask you to provide personal data about yourself. We also collect “Navigational Data” (read more below). This refers to any information that identifies you personally, including contact information, such as your name, e-mail address, company name, address, phone number. Personal Data also includes other information about yourself or your company, as well as information about eg. IQ, values and your preferences collected via IQ Test and Personality Tests. This refers, inter alia, to data on physical or mental health, genetic information and ethnicity. In order to offer individual counseling in connection with admission to and during our program and, thus, giving you the best service, it may be necessary to gain insight into personal and private data that we should take into account. For example, such data may relate to disability, ethnicity and health information we collect in connection with the application. Read more under section 3.2. This refers to information about your computer and your visits to this website, for example. your IP address, location, browser type, source, visit time and pages. Please refer to the “Navigational Data” section below. Send you marketing communications regarding our business or closely selected third party companies that we believe may interest you. We use Navigational Data to maintain and improve our websites and digital platforms. We can also use Navigational Data by itself or in combination with personal data to provide you with relevant information. We may publish our visitor’s and users’ comments on our websites and digital channels, and such comments may contain personal information. If you are a student or an alumni, We may choose to publish photos of you on our websites and social media in order to promote IME, Henley Business School Danmark or IME Singapore. 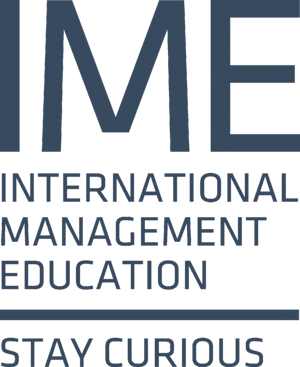 Our publication is based on our legitimate interests in promoting IME, Henley Business School Danmark or IME Singapore. However, you may at any time object to this processing and publishing of your pictures (see section 4.9). We use third parties to provide, such as HubSpot, services to visitors on Our websites and digital platforms, to our customers and We may need to share your personal data with such third partiesto provide you with relevant information, products or services. These service providers are considered Our data processors. In all cases where We share your personal data with such service providers, we require the conclusion of a data processor agreement explicitly requiring that the service providers acknowledge and comply with the data protection regulation and Our policies for protection of privacy and, not least, your personal data. Furthermore, We may provide third parties, such as Google Analytics, access to statistics about Our users for the purposes of making statistical analysis or customer support. If you do not want your personal data shared with such third party, then you may contact Us at info@ime.education. Finally, we reserve the right to disclose your personal data to public authorities or private companies / organizations if required by law or if we reasonably believe that such disclosure is necessary to protect our rights, protect your security or the security of others, investigate fraud or comply with a court order or legal process. For example, your personal data may disclosed in connection with search warrants, court orders or subpoena. We use a number of security technologies and procedures to protect your personal information from unauthorized access, use or disclosure. We ensure the personal data you provide are stored on servers in a controlled, secure environment, protected against unauthorized access, use or disclosure. When personal data (like a credit card number and / or geographic location data) is collected on our website and / or transferred / stored in HubSpot, it is protected by encryption, such as the Secure Socket Layer (SSL) protocol. Our website and digital platforms may contain links to other websites. We do not control and are not responsible for the content or practices on these other websites. Your personal data may be used for profiling. Our profiling is done for the purposes of marketing and sales, division into customer groups etc. You are entitled to object to our profiling, including direct marketing. In order to continuously optimize Our services, marketing and sales activities, we will in some cases anonymize and use the data obtained. For example, we may remove identifiable elements from your personal data, if you request that we delete your personal data. We work with leads, students, alumni and suppliers worldwide, both inside and outside the EEA. As part of our service, we may transfer your personal data to other regions and countries, including to the United States and Singapore. In order to ensure that your information is protected when transferred from the EEA to the United States, IME has ensured that the receiving company in the United States is certified under the EU-US Privacy Shield Framework (described in more detail below). We use various global digital solutions such as HubSpot, Google Analytics, LinkedIn and Facebook for data collection, processing and use practices. These systems participate in and have certified their compliance with EU-U.S. Privacy Shield Framework and Swiss-U.S. Privacy Shield Framework. They are therefore obliged to ensure that all personal data received from EU member states and Switzerland are processed in accordance with the Privacy Shield Framework Agreement. To learn more about the Privacy Shield Framework, visit the US Department of Commerce’s Privacy Shield website at https://www.privacyshield.gov. To offer, complete and improve our services, websites and digital platforms, we collect and process personal data. The legal basis for our processing depends on the purposes of processing and the categories of personal data involved. For example, in order to deliver benefits and services to leads, students and alumni, we collect and process personal data based on our legitimate purposes as such services. See more under lawful processing. Our legal obligations as data controller (Data Protection Regulation Article 6 (1) (c)). Consent to direct marketing and profiling (Data Protection Regulation Article 6 (1) (a)). Balancing of interest rule for example when carrying out evaluations and tests in connection with education (f) and for use in statistical analysis (Data Protection Regulation Article 6 (1). In some cases, we collect sensitive personal information about you, for example, health information, genetic information and information on ethnicity. We do this so that we can take into account these conditions in connection with your application, admission to and implementation of MBA programs. In these cases, you will be asked for your explicit consent to process such information. Your personal information, including sensitive personal data, may also be disclosed to our affiliates. It may be necessary for us to disclose your (sensitive) personal data to either Henley Business School Danmark or IME Singapore. Your consent will therefore also be a consent to such disclosure. It is optional for you to provide consent to our processing of such personal data. If you consent to our processing of such personal data, you may withdraw your consent to the processing at any given time. If you withdraw your consent, we will no longer process these personal data. Access to your personal data is limited to authorized personnel from IME and our partners, for example from Henley Business School / University of Reading. All employees undertake compulsory data protection training as part of their introduction. We want our ads to be as interesting to you as any other information you find in our digital platforms. Therefore, we use some of the information we have about you to show you relevant ads. We share information that can be used to identify you personally (information such as name, email address, and IP address that can be used to contact you or identify you) with our advertising, measurement and analysis partners, if you use our digital platforms. If you use our services for purchases or financial transactions (for example, if you buy a master class, transportation to Degree Ceremony or similar), we collect information about the purchase or transaction through third party systems such as Eventbrite or Shopify. We do this to confirm that payment has been made and that the payment stems from the correct person. We will only store your personal data in our systems, as long as we find necessary for that activity, for example to contact you, or as long as it appears from a relevant contract or compliance with our obligations, resolution of disputes or enforcement of our rights. When your personal information is no longer necessary, we will delete them. If you have interest in taking one of our programs or a general interest in IME, we will store your data for a period of up to two years from the point you first contacted us or from the completion of a program your purchased through us. We consider our relationship with our students and alumni to be lifelong and we will store to your details until you tell us that you no longer want to hear from us or if you have not updated your profile with us for more than one year. We use a one-year update process whereby we will contact you to see if you want us to make changes to your contact information regardless of your affiliation. If you are not a student or alumni and do not update your profile information or confirm that you want to hear from us, we will delete your profile. If the e-mail is not delivered to you, we may try and contact you to obtain accurate data and / or remove your profile. We will delete your personal data from the servers and our systems at an earlier time if you request to do so. Upon termination, we may delete all customer information, including your personal data, unless it is provided by law that we store your personal information. Should you request that your personal personal be deleted, we will delete all of your personal information unless there is any personal data that we are required to store, for example to determine or defend a legal claim. You can always unsubscribe from our marketing and sales communications by clicking the “unsubscribe” link at the bottom of our commercial e-mails. Customers including students cannot opt out of receiving transaction emails related to billing and contract or teaching related content. Customers must actively opt out of receiving our commercial dialogue via e-mail. You can also sign up for marketing and sales dialogue via our website. However, you will still remain in our digital platform until your personal data is deleted, cf. above. Our anti-spam policy regarding acceptable use of emails and inquiries prohibits us from sending unsolicited commercial e-mails or other inquiries in violation of applicable laws. In certain cases, to receive and / or transfer your personal data to another data controller. Submitting a compliant to the supervisory authority in any EU country, eg. where you have your permanent residence or workplace. In Denmark you can complain to the Data Inspectorate via datatilsynet.dk. However, we recommend that you contact us prior to any such complaints. If you wish to exercise any of these rights, please contact us at info@ime.education. We will respond to your request to change, correct or delete your information within 30 days and notify you of the action we have taken. We can collect demographic information, such as your zip code, age, gender, preferences, interests, and favorites using logs that are not associated with your name or other personal data. This information is used to provide general statistics regarding the use of our websites and digital solutions. For this purpose we connect these automatically collected data with personal information such as name, e-mail address, address and telephone number, etc. We use software technologies such as clear gifs (for example Web Beacons / Web Bugs) and pixel tracking that help us manage the websites better by informing us of what content is effective. Clear gifs are small graphics with a unique identifier that resembles the cookies feature and is used to track the web processor’s online movements. Unlike cookies stored on a user’s computer hard drive, clear gifs are integrated invisibly on web pages or in emails. We use clear gifs in our HTML-based emails to tell us which emails have been opened by recipients. This allows us to measure the effectiveness of certain communications and the effectiveness of our marketing campaigns. We bind the information collected by clear gifs in emails to our customer’s personal data. If you want to opt out of these emails, see “Unsubscribe from communication”.